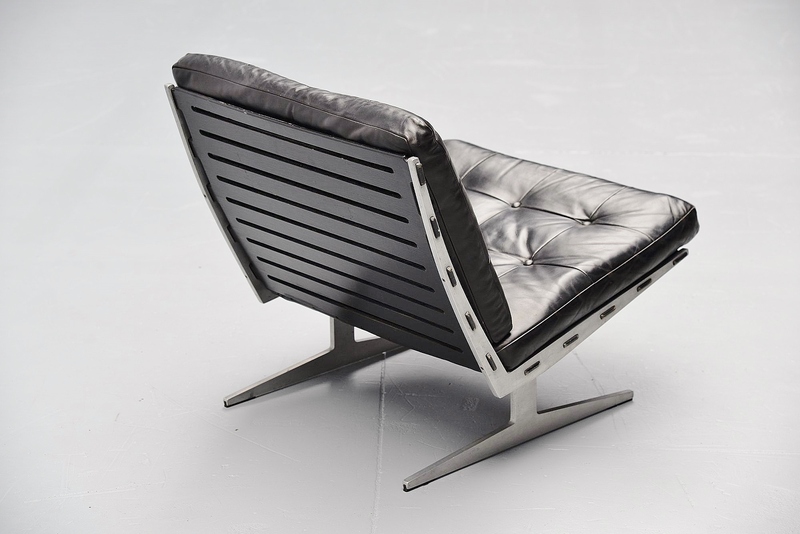 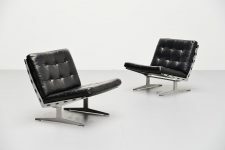 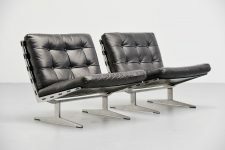 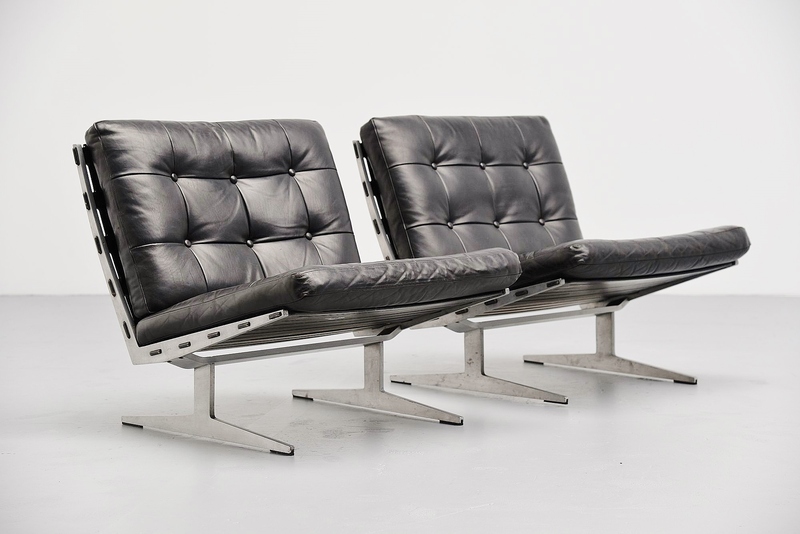 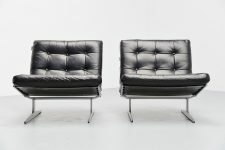 Excellent pair of lounge chairs designed by Paul Leidersdorff and manufactured by A. Leidersdorffsen A/S, Denmark 1965. 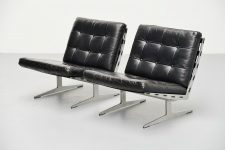 These chairs are made of solid aluminum slipper frames, with black lacquered plywood seat and back and tufted leather cushions. 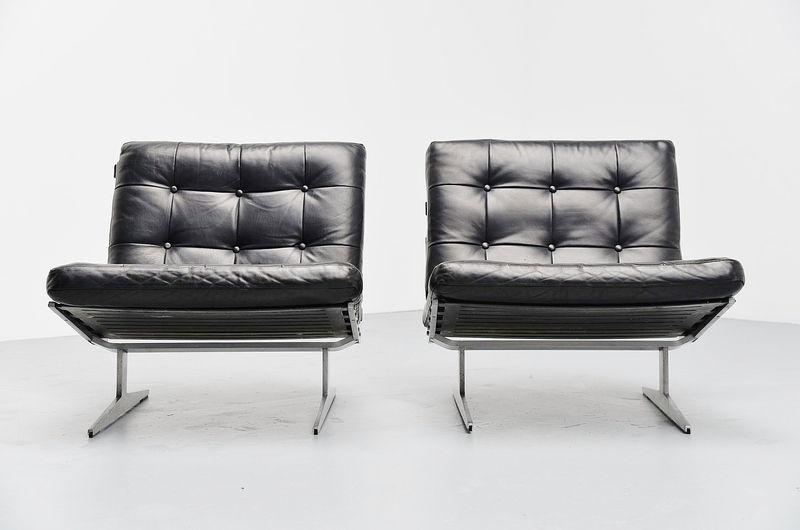 Very nice looking and comfortable lounge chairs pair. 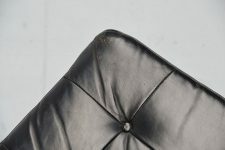 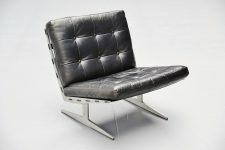 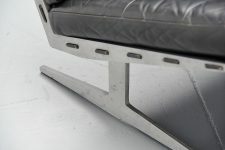 The chairs are in good original condition with minimal wear and nice patina to the aluminum frame and leather cushions.